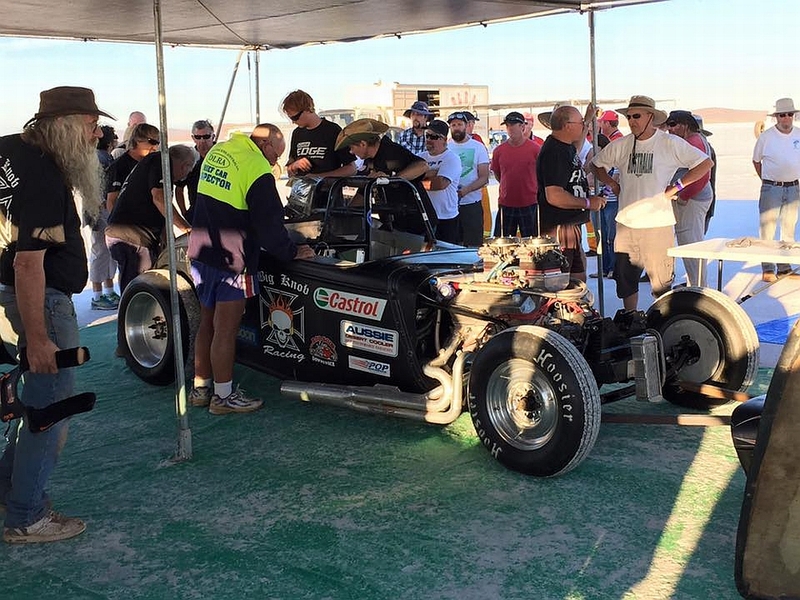 Technical Inspection is usually open on the Friday afternoon, Saturday and Sunday prior to Speed Week. Technical Inspections during Speed Week (Monday to Friday) are by arrangement only with the Chief Inspector. The Inspectors have other duties during Speed Week and you will have to fit in with their requirements. Same goes for change of vehcile class inspections during Speed Week. You will have to arrange a time for the vehicle to be inspected. Get in the queue, note there are seperate tents / queues for cars and bikes. Your vehicles logbook; new vehicles will be issued with a log book. If you don’t have your current log book with you the Inspector will send you to the Registration caravan to purchase a new one. As well as your vehicle being presented in ready to race trim, you must provide for inspection all your safety equipment; helmet, suit, gloves, under suit, socks, boots. Your vehicle must display the entry number and class as shown on your entry form. Any other drivers of the same vehicle must be present and have all their safety equipment with them for inspection as well. Car drivers will be required to perform a "bail-out", where they exit the car dressed in their safety equipment and buckled in. Entrants must also submit their tender vehicle for inspection at the same time. It will be checked for installation of radio, flashing light, fire extinguisher and spill kit. 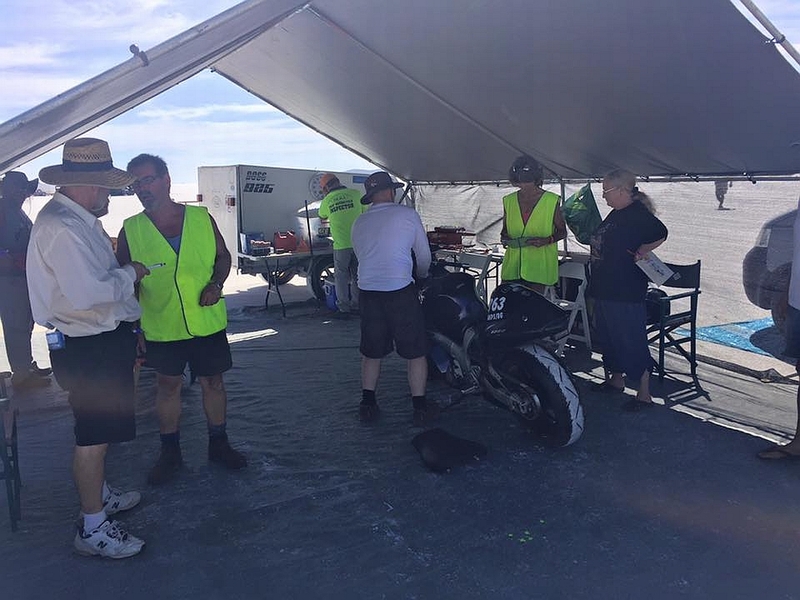 After Inspection, move your vehicle to your pit area and don’t park blocking inspection lines, and complete your entry by returning your inspection form to registration. 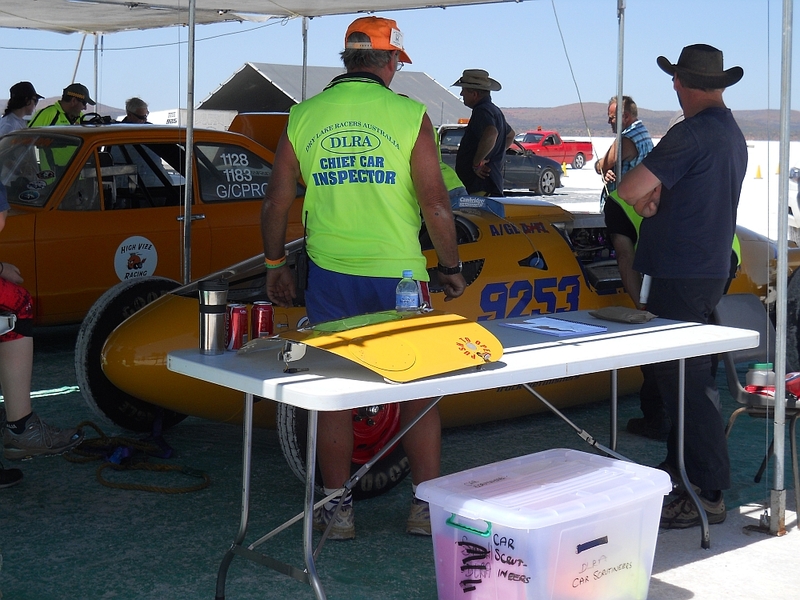 It is highly recommended that new vehicles competing for the first time at Speed Week to have undergone at least one pre-inspection prior to coming to Lake Gairdner. The last thing we want to see is a new competitor turned away for non-compliance with rules and regulations. See Contact Details page for a list of Inspectors and Delegates in your State and arrange your inspection NOW! All entrants must attend a drivers briefing. All first time competitors (Rookies) must assemble at the Car Inspection Tent after the Drivers Briefing for additional information, make sure you sign the attendance sheet.